Arcade - 17 of the most popular games. Win Tickets to redeem for PRIZES. GLOW IN THE DARK is the 3rd Friday every month from 10pm until 1am. We turn off course lights and turn on lights winding thru bushes & trees and along the course & waterways. Use our flashlights. YOU will play mini-golf in the DARK! 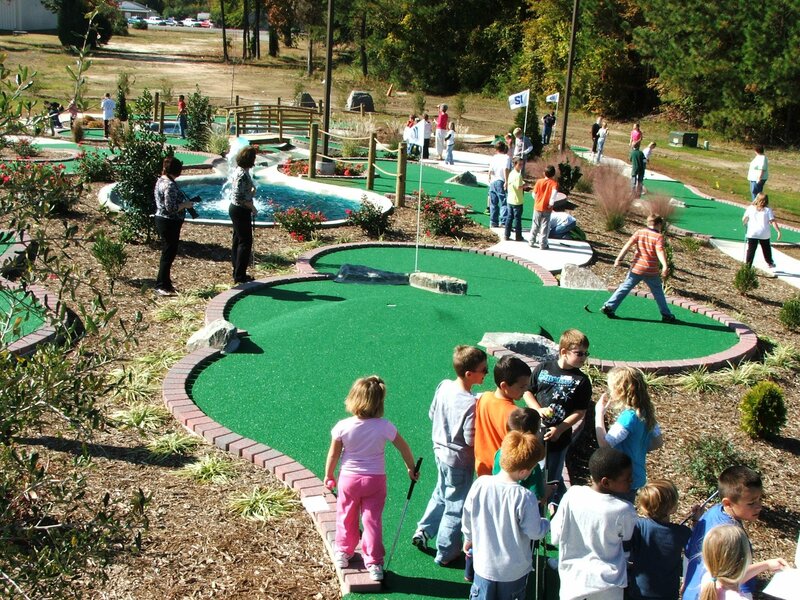 $10 each for 1 game of mini-golf. WIN PRIZES! Get a Souvenir Shirt! Each player receives a glow necklace. More details are on our Events page.